We work with homeowners, contractors, retailers, etc. 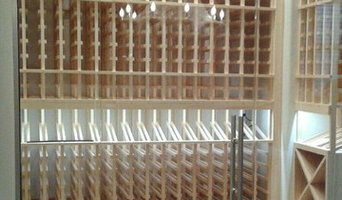 to provide wine cellar design and products including racks, cooling, flooring, wine cellar doors, etc. We will do full build outs or work with your contractor and simply supply design, product, and advice. Vineyard Wine Cellars is the leading designer and installer of wine cellars for enthusiasts seeking inspired solutions for the preservation and enjoyment of their collection. We source state-of-the-art products and materials in wine cellar cooling, construction, finishes, lighting, and racks to provide wine storage solutions for all applications, and to suit any design style. Led by Gary Daniels, a craftsman with 30 years’ experience, Vineyard Wine Cellars brings originality and creativity to the process of designing and developing award-winning wine storage solutions. We research and partner with the leading manufacturers of racking, climate control equipment, lighting and finishes ranging from the traditional to contemporary. We draw on elegant and unique products to customize a solution that meets your requirements for storage, climate, aesthetic and ultimately, enjoyment and preservation of your collection. The core components of our business are: Quality materials including elegant fits and finishes Superior customer service Respect for our customers’ wine collections Vineyard Wine Cellars has grown into Texas’ premier designer and installer of custom wine cellars, rooms, closets and commercial displays across the major metropolitan areas. Our design experts share your discriminating taste and will bring your vision to life through sound design and construction principles. North Texas Wine Cellars is a general contractor specializing in residential and commercial wine cellar design and construction. We serve the Dallas and North Dallas areas and we take pride in exceeding the needs of our clients, making sure the project is completed on time, on or below budget, and that they are truly satisfied with the results. 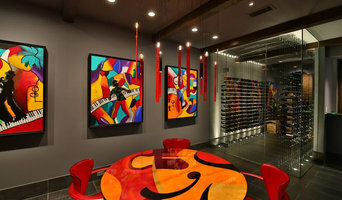 We design and build custom wine rooms. McCullars Irish Pub and Grill is an Irish bar in Arlington TX. We are your neighborhood bar featuring pool tables, steel tip dart boards, video games, Guinness on tap, a wide selection of Irish whiskey and serving fantastic food with our kitchen that is open late! Call @ (817) 478-1444 or Visit our website to Contact Us Today! Malcolm's Wine Cellar specializes in the design and construction of residential wine cellars and cellar management services including the provisioning of premium wines at affordable prices, wine gifts, and exquisite stemware. Additionally, we help wine drinkers worldwide discover their current taste profile and identify wines they will enjoy at this point in their lives. 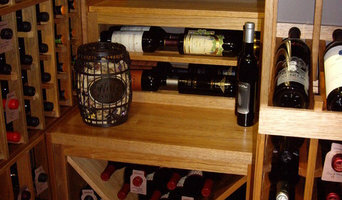 Design, build, and manage residential wine cellars. Locus Visual Arts will provide what you wish with regards to web design, graphic design along with other unique SEO services your Dallas company could will need. A Texas wine cellar professional can help you determine the best cellar location, size and configuration, based on the number and types of bottles you plan to store and on your home’s layout. In addition to functionality, he or she will ensure that the cellar design and materials complement those used throughout the rest of your house. He or she may work independently or in tandem with a general contractor or remodeler. Here are some related professionals and vendors to complement the work of wine cellars: Design-Build Firms, Home Builders, Tile, Stone & Countertops, Ironwork, Specialty Contractors. Your Farmers Branch, TX wine cellar professional also will oversee the preparation of the target space (moisture barriers, ventilation and so forth) as well as the construction process. Wine cellar builders select and install the necessary equipment and surfaces, from racks and cabinetry to flooring and lighting, and often handle special security systems to protect a homeowner’s collection.